Can a Colorado Domestic Violence Victim Refuse to Testify in Court? 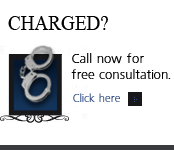 - Denver Criminal Attorney Specializing in Domestic Violence Cases - Colorado Criminal Defense Lawyer. 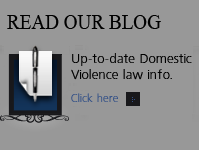 Colorado Domestic Violence and The Victim’s Refusal To Testify – Can a Colorado Domestic Violence Victim Legally Refuse to Testify in Court? 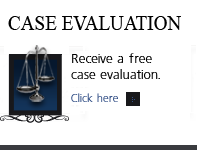 Colorado Domestic Violence and The Victim’s Refusal To Testify – The question – can an alleged Colorado domestic violence victim “drop charges” is a question I receive in my free consultations many times a month. The answer is no – the district attorney has the sole authority to terminate a case and request of a judge that all charges be dismissed. Colorado Domestic Violence Issue 1: Can the Alleged Victim of Domestic Violence Drop Charges- or -Will the State of Colorado Dismiss Charges If That Is What the Victim Wants? BUT – an alleged victim of domestic violence in Colorado DOES have the right to be heard by both the Judge and the DA under the Colorado Victim’s Rights Act. Also it is the right of every witness to “correct the record” as to misstatements – inconsistencies – coerced statements and completely false testimony that was given to law enforcement during the investigation phase of the typical Colorado domestic violence case. Domestic violence is one of the most common crimes charged in Colorado. It is unclear -however at any one time – how many domestic-violence cases are being prosecuted by the county or the city courts in Colorado. And it is precisely because of the complex ever changing nature of the allegatons of this “crime,” that honest prosecutors will admit that charges are dropped much more frequently in domestic cases than in other kinds of criminal cases. The factors that drive the larger number of dismissals include the “back-and-forth” nature of intimate relationships, the potential for confusion of the alleged victim as to what she or he wants to do – and a Mandatory Arrest Law in Colorado Domestic Violence cases that requires police to make arrests whether the case is ultimately strong enough to prosecute or not. In Colorado – after a charge of domestic violence has been filed, – it is up to the State of Colorado through the elected district attorney for the city or county where the case is tried to decide whether to continue to prosecute the case. The prosecuting witness – alleged victim (at least in modern times) has never had the authority to decide as to whether or not the State will continue to prosecute someone and almost every county in Colorado has – in domestic violence cases – have long standing “no drop” policies. Again – the decision to press charges for domestic violence in Denver, Colorado lies ONLY in the prosecuting attorney’s hands, not the alleged victim’s. BUT – having said that -a law review article in the UCLA Women’s Law Journal made this important point… It found that in the Los Angeles County District and City Attorney’s offices (as an example) over 50% of their domestic violence victims ‘recant,’ – which means that once they are forced to take the stand against their accusers, the victims deny ever being battered. The same is true in most states – including Colorado. Even though DA’s offices have no drop policies – that does not mean that the DA will not take a victim’s request into consideration. During the prosecution of the case – right up tp the day of trial -you will not know -whether the DA or City Prosecutor is making the decision to proceed – dismiss – or enter into a favorable plea bargain. If you – the accused – wait and decide to rely on the alleged victim’s “promise” not to prosecute, you will be at risk of a conviction. The decision to retain counsel is advisable early inthe process because of the dangers inherent in the situation itself. Simply put – it may be too late for a lawyer to effect change in the result of a Colorado domestic violence case if the defendant decides to “wait out” the prosecutor’s decision. If the prosecutor decides to go forward with the prosecution on the day of trial – notwithstanding what the victim wants, you do not want to be left at the podium defending yourself with the judge and jury waiting for your defense. As an former career prosecuting attorney for Arapahoe – Douglas County – I am aware of the motivating forces behind the “standard” of prosecutors to resist dismissing a case and moving forward with a criminal case against a defendant even when a victim wishes to drop the charges. 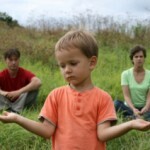 •The victim is too afraid to testify in court ..
•The victim is afraid that the defendant or his family will retaliate. Colorado Domestic Violence Issue 2: Should Victims Be Forced to Participate in the Case? In a recent study of this question in Kansas – District Attorneys were asked when the alleged victims of domestic violence should be compelled to – forced to testify over their personal objections. 1. The Existence of Strong Evidence Against the Defendant – Prosecutors seemed most willing to force a victim to participate when the evidence against the defendant was strong. 2. The Seriousness of the Injuries – The seriousness of the injuries is a major factor affecting a prosecutors’ decision to pursue domestic violence allegations. Because of limited resources of both Colorado state and local prosecutors’ offices – the need to prioritize the many cases that are filed – is a strong consideration. “One (former prosecutor and now a ) judge indicated that he would pay particular attention to the seriousness of the injuries. I would have to look at each and every cycle of abuse or charge and see the extent of the injuries and know each of the circumstances. 3. The Defendant’s Criminal Record – The defendant’s record was also an important factor in deciding whether a victim should be forced to participate. If a defendant has been convicted of other domestic violence or violence based offenses, then the chances of the case being dropped are very much lower. 4. The Type of Relationship Between Defendant and Victim – This applies to comparison – for example of long term marriages with children and no history of violence – versus – a short term tumultuous love affair with a great deal of mutual violence. A perjury or false reporting charge – in my experience – is a risk – but a minor one. If such charges are filed – they are exceedingly unpopular with both judges and juries.. And – if filed – are somewhat easily defeated at trial. If you have questions about Colorado Domestic Violence and Victim’s Refusal To Testify in the Denver metropolitan area and throughout Colorado, attorney H. Michael Steinberg will be pleased to answer those questions and to provides quality legal representation to those charged in Colorado adult and juvenile criminal matters. In the Denver metropolitan area and throughout Colorado, attorney H. Michael Steinberg provides quality legal representation to those charged in Colorado adult and juvenile criminal matters…as regards Colorado Domestic Violence and Victim’s Refusal To Testify.